View More In Floor Cleaners. 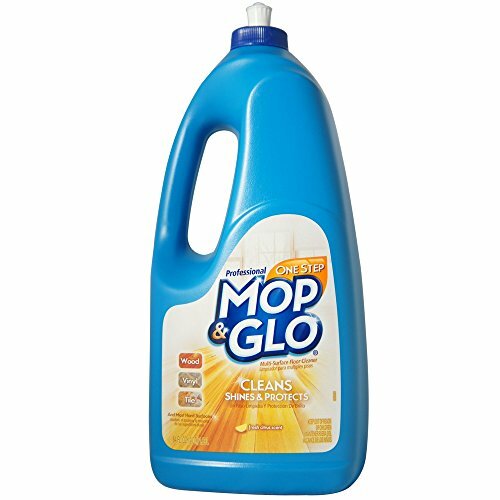 Mop & Glo Professional Multi-Surface floor cleaner will clean, shine and protect. Our SHINE LOCK formula provides a long lasting shine! This cleaner also helps protect against everyday scratches. It is safe to use on tile, vinyl, hardwood, marble, linoleum, ceramic, and no wax floors. Available in a fresh citrus scent. SHINE LOCK formula provides a long lasting shine! Safe to use on tile, vinyl, hardwood, marble, linoleum, ceramic, and no wax floors. Available in a fresh citrus scent. If you have any questions about this product by Mop & Glo, contact us by completing and submitting the form below. If you are looking for a specif part number, please include it with your message.